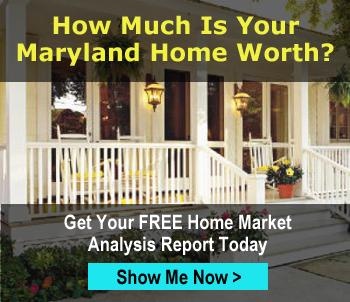 Search all Washington County, MD property listings on our easy to use Washington County MLS real estate search. Get daily email alerts of new homes, condos and land for sale as they become available plus price changes. Washington County, in North Western Maryland, is home to a number of small towns with historical country charm. Perfect for home buyers in search of laid back country living. It's northern border is shared with Pennsylvania, and the Potomac River separates it from West Virginia and Virginia. Hagerstown lies at the gateway to the Western Maryland region and the Shenandoah Valley to the south. There are some new suburbs mostly northeast and working class areas close to the city center. If you are looking for a town home or town house for sale, Hagerstown is a pleasant mix of old and new with a notable downtown historic area and an unusually large concentration of pre–Civil War homes. The surrounding areas are hilly and wooded with deciduous trees. Washington County’s many quaint towns and farms are great opportunities for investors, contractors and home buyers alike. The historic towns in Washington County are known for a large number of pre-Civil War row homes similar to Baltimore's famous row housing. Some of these excellent homes for sale are located in Funkstown, Hancock, Keedysville, Sharpsburg, Smithsburg and Williamsport. 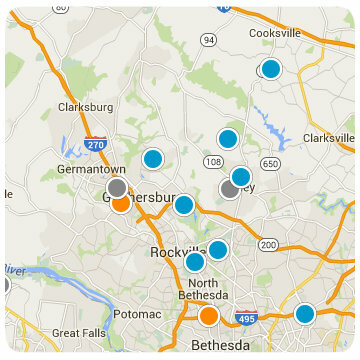 New Homes are available in the suburbs of Hagerstown and beyond. New home construction has extended the single and muli-family home offerings in the Hagerstown, Boonsboro, Sharpsburg, Knoxville and Fairplay areas. Gorgeous old farm homes for sale with complete barns and sheds are scattered throughout this rich agricultural region. Washington Country is drive-able distance from historical Harper's Ferry, and about 30 minutes from hiking and camping along the C & O canal, Harper's Ferry trails, the Catoctin Mountains and the Shenandoah Valley. Hagerstown is about 35 minutes to Frederick, and 2 hours to the center of Washington D.C.